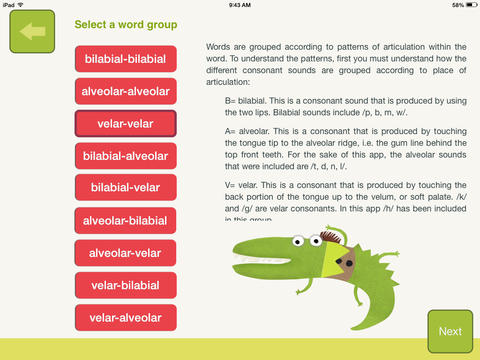 Developed by the National Association for Child Development team, including a certified speech-language pathologist, this app practices articulation of 2-syllable words. 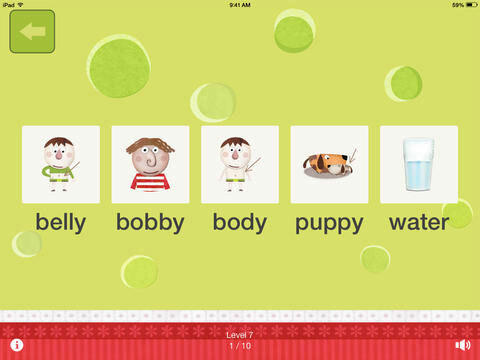 Words are organized according to place of articulation of the first and second consonant sounds, and users move through a progression of levels that challenge motor planning for speech. 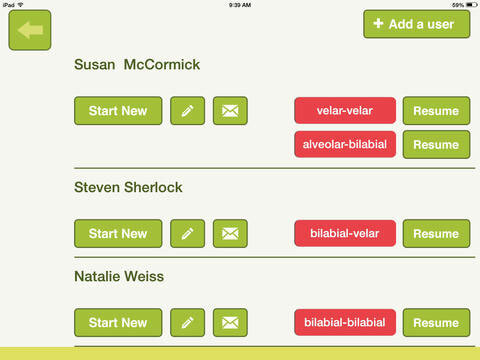 As with the “Words” app, it begins with the production of single words with easier patterns of articulation and progresses through increasingly more difficult production sequences all the way to the production of sequences of random words.